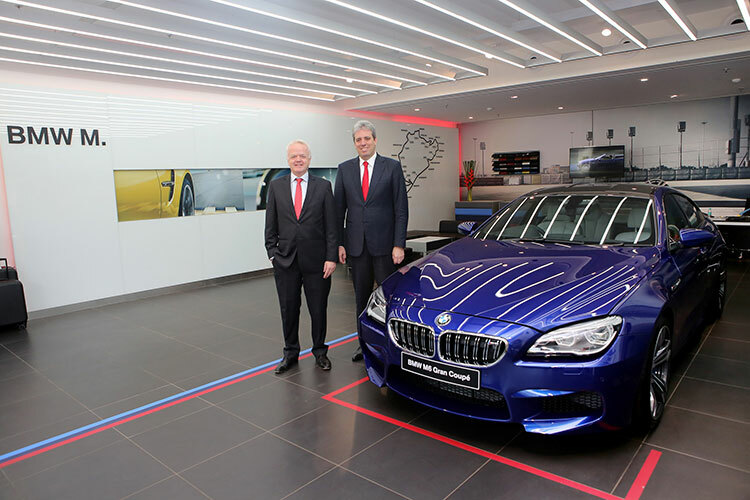 BMW India has launched a brand new ‘BMW M Studio’ in Mumbai. The first-of-its-kind flagship store is dedicated exclusively to the BMW M brand and its entire range of products. The ‘BMW M Studio’ has been launched in Mumbai by Infinity Cars and is situated at Savoy Chambers, Near Juhu Garden, Santacruz (W), Mumbai. 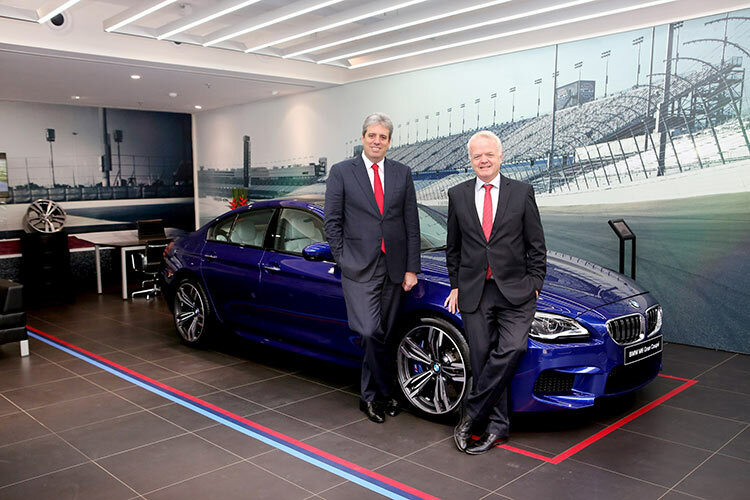 By end of 2016, BMW India will expand the network of ‘BMW M Studios’ to seven locations all over India through dealerships in Delhi, Bengaluru, Chennai, Pune, Ahmedabad and Hyderabad. Born on the racetrack, at home on every road – that’s the credo of M automobiles. M is an attitude. For generations, BMW M cars have proven their metal in the world of performance. M cars have a multi-faceted character that endear it to individuals who demand a unique combination of dynamics, extraordinary sportiness, comfort and everyday suitability. The ‘BMW M Studio’ is designed to cater to the needs of a niche clientele – one that does not believe in playing by the rules. It is a place where the BMW fans can explore the fascinating world of M. The dynamic product range and an unmatched premium experience will bring these customers closer to the M brand. The current BMW M range available in India includes the BMW M3 Sedan, the BMW M4 Coupé, the BMW M5 Sedan and the BMW M6 Gran Coupé. The all-new BMW X5M and the all-new BMW X6M will soon join the M family in India. Infinity Cars has been associated with the BMW Group since the last 8 years and it has been an absolute pleasure working alongside one of the most desirable brands in the world. As BMW India grows, we also grow. We are very proud and excited to launch the first BMW M Studio in the country. M is a passion. It’s an addiction for those who believe in the power of performance. There are numerous BMW M fans in Mumbai and with the opening of the new BMW M Studio, which is also our fourth facility in the city, Infinity Cars will provide an opportunity to this niche clientele to explore the M brand closely. The ‘BMW M Studio’ showcases the M range of cars and exciting M Accessories Packages. The showroom has been designed to give a unique feel of the BMW M brand. Customers have an opportunity of exploring the products and requesting for a test drive. The M Studio also features a lifestyle section where customers can purchase exciting M Accessories. BMW M Automobiles are produced by BMW M GmbH (subsidiary of BMW AG). Driven by motorsport, the exclusively equipped cars meet the highest demands for agility, dynamics and power with ease. Powerful engines combined with an expressive design and top-class functionality are result of the collective experience of engineers at BMW M GmbH. M engines are not tooled-up versions of standard production engines, but independent developments of motorsport technology for the road. Their innovations point the way for other BMW engines. The world’s toughest test track is where M Automobiles are born. The Nordschleife of Nürburgring, Germany is where every M Automobile is shaped and developed.